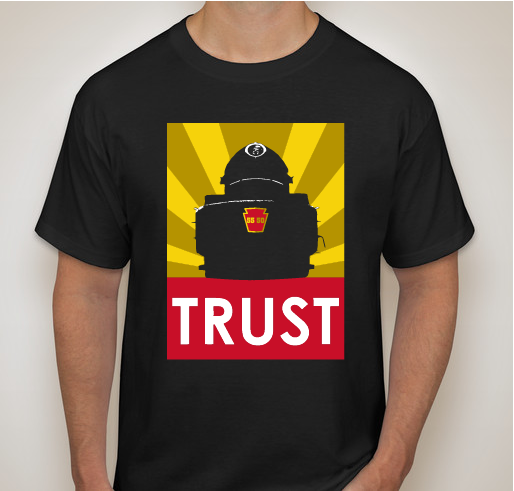 Buy a shirt with my design to help support the T1 Trust! All funds raised will go to Ben Custer, the organizer for The T1 Trust. 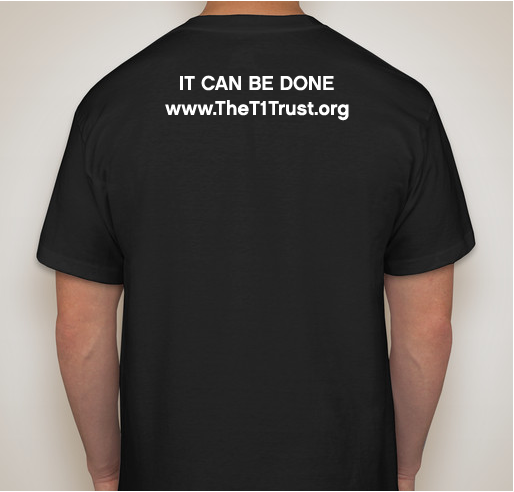 This is an effort to help raise money and build awareness for the T1 Trust. A few weeks before my father passed away, my cousin came to say his goodbyes. I was privileged to sit with them as they had their conversation. My cousin asked, "What do you think is waiting for you on the other side?" Without hesitation, my father replied "The T1" (the steam engine featured in the design). The T1 was a bit of a unicorn when it came to steam engines. It was designed by the same guy responsible for the design of the coke bottle, the Shell logo and a few Studebakers and if we are being honest, it looks like a train batman would drive. Beyond its unique looks - it was also unicorn-ish because it was a train my dad always wanted for his collection but never got one. The engine is controversial, reputed to being pushed to the outer limits of its performance and hitting top speeds in excess of 120 MPH, having excessive wheel slip due to its power and frequent break downs. Some say it was poor design. Others say it was abusive use. Either way the Pennsylvania railroad eventually scrapped all 52 of their T1 engines. A few months after his passing the Pennsylvania Railroad T1 Steam Locomotive Trust formed. 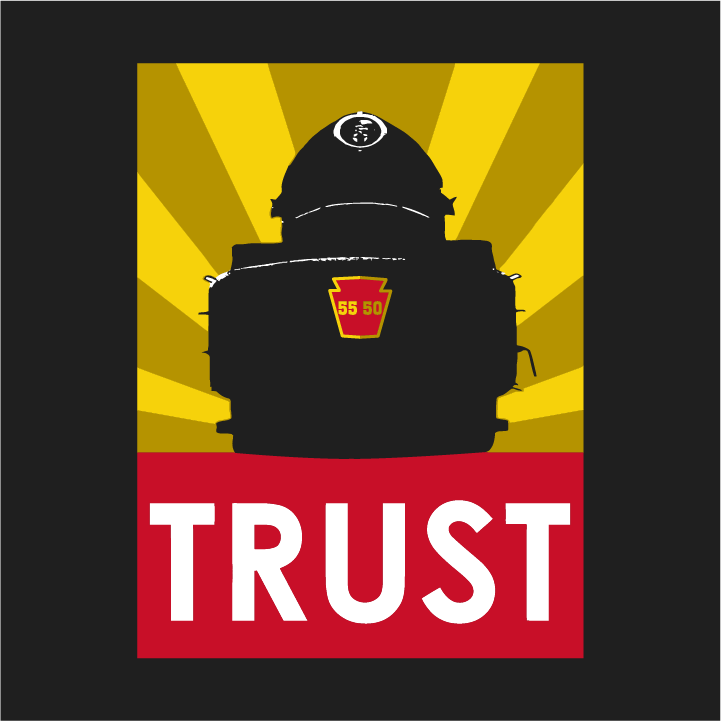 The "Trust" is a non-profit organization formed with the sole purpose of rebuilding a T1. The are countless cool engines in need restoration and even more that are completely gone, but they chose the T1, the very same engine my father said awaited him at the other side of his passing. I was shocked, stunned and stoked to learn of the Trust and their plan and eager to help them in their mission. I created some shirts for William and I with the design a few years ago and really liked how they turned out. So much that it became the missing piece for my tattoo journe. When I tured 40, I gothe design tattooed on my inner left forearm with the word TRUST on the part of my arm closest to my heart. It is also equally oriented to myself and to others which is appropriate has this connects me to so many people. Trains are part of our family. My father and uncle and their father before them used trains as a form of bonding. They didn't have extraordinary means, but trains were there for all to enjoy (at least watching them). It is part of what it means to be a son and a father. And now I wear it proudly on my arm for life. Now you can be a part of the story, get a t-shirt designed by yours truly and support an important cause. Love the design, and story behind it even more! Cheers! I want to ride behind this locomotive some day. I like my design so much, I am buy a few shirts for myself! Share Why You Support "Help me recreate a piece of history"